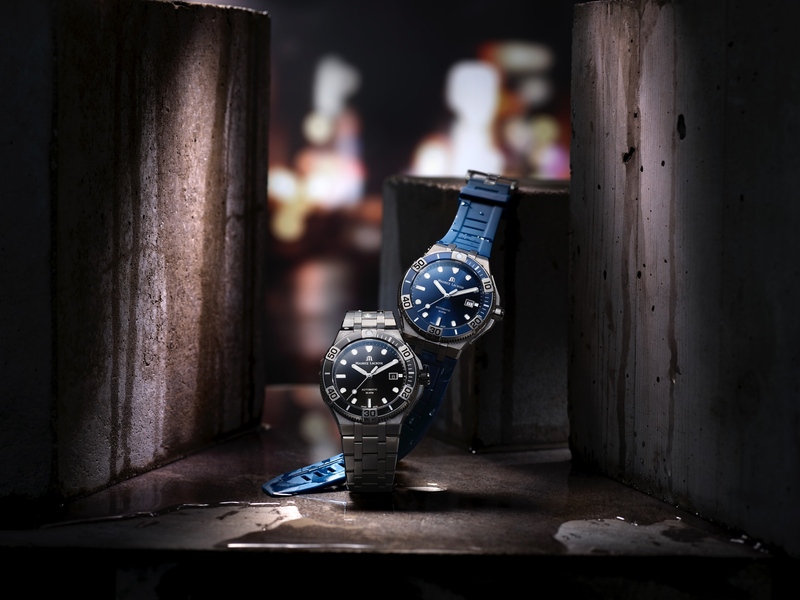 This year at Baselworld, Maurice Lacroix presented a new version of their Masterpiece Gravity timepiece with blue lacquered dial and subdial. 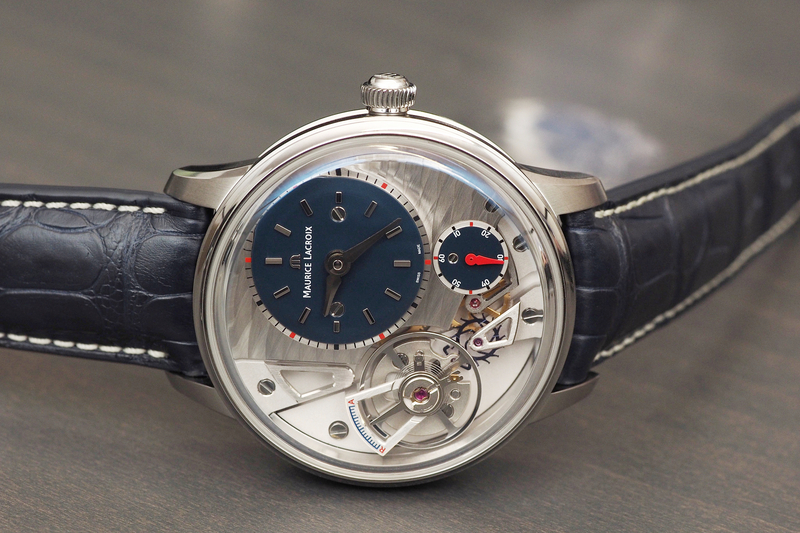 Originally released in 2014, the Masterpiece Gravity has a unique regulation assortment, consisting of the balance wheel, hairspring, and escapement – all made of silicon (silicium). Moreover, it can be viewed from the dial side of the watch. Many companies are using silicon for crucial watch movement components, however, few use silicon for the entire regulation system. Patek Philippe is one of the companies that does, but as of today, only a limited number of references utilize the full silicon Oscillomax system. Set against the off-center, blue lacquered dial (at 2 o’clock), are contrasting rhodium-plated hands and applied indexes, that display hours and minutes. Just below is a blue lacquered subsidiary dial (at 4 o’clock), with a bright red varnished small seconds hand that continuously sweeps every 60 seconds. The main plate, which is visible on the dial side of the watch, has a unique “Vagues du Jura” motif (similar to Geneva stripes). The other parts of the movement have either a sandblasted or brushed finish. All the edges have been machine cut using a diamond, which is not as good as hand beveling but produces a similar effect. A prominent box sapphire crystal protects the dial and offers a top and peripheral view into the three-dimensional dial, including the silicon assortment between 6 and 8 o’clock. The caseback also has a sapphire crystal, although the main components are on the dial side. The Masterpiece Gravity Blue is powered by automatic caliber ML230, running at 2.5Hz (18,000 vph), with 35 jewels, and a 50-hour power reserve. As mentioned above, the movement uses a full silicon regulation assortment (meaning balance wheel, hairspring, and escapement). The stainless steel case measures 43 mm in diameter and has a satin and polished finish. Water-resistance is 50 meters. The retail price is $13,900. (Ref. 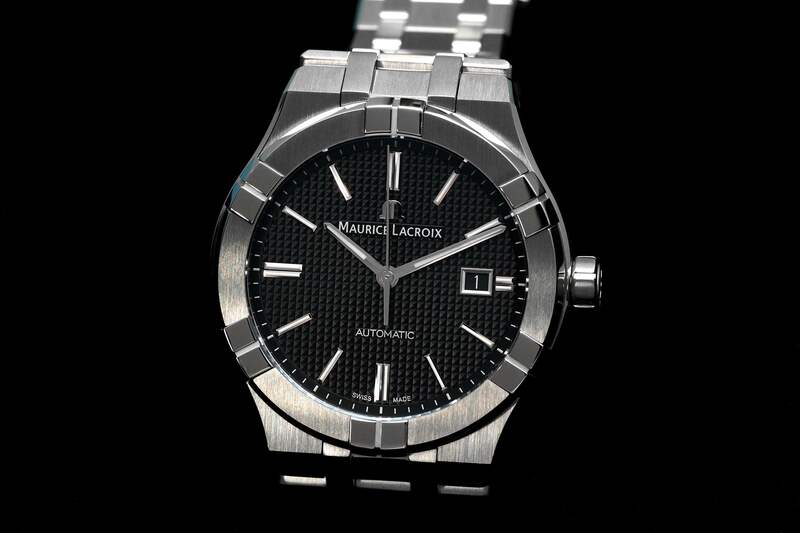 MP6118-SS001-434-1) Learn more at Maurice Lacroix. The Masterpiece Gravity has a unique in-house movement, with a horologically interesting configuration that uses advanced silicon for the most important parts of the movement, and that can be viewed without taking off the watch. It will definitely attract attention, and look good doing it. 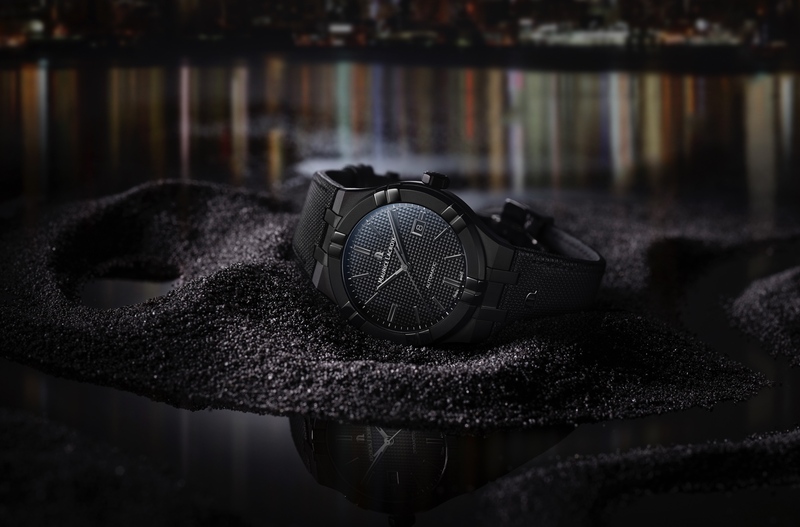 If they could integrate this movement into more of their watches, and drive the cost down even further, I could see it becoming a staple of the brand.